Maildir file reader is one of the intelligent application for expanding data of Maildir files without server or email client dependency. It is an absolutely free application with easy-to-use and simple interface. The freeware flawlessly works with Maildir as well as Maildir++ files of the server. Download free Maildir viewer for opening, previewing, and reading the content of Maildir file format. The software reduces the efforts and time utilized in instantaneously viewing a long Maildir structure. It will be extracting all the data from Maildir filename format without any data loss. 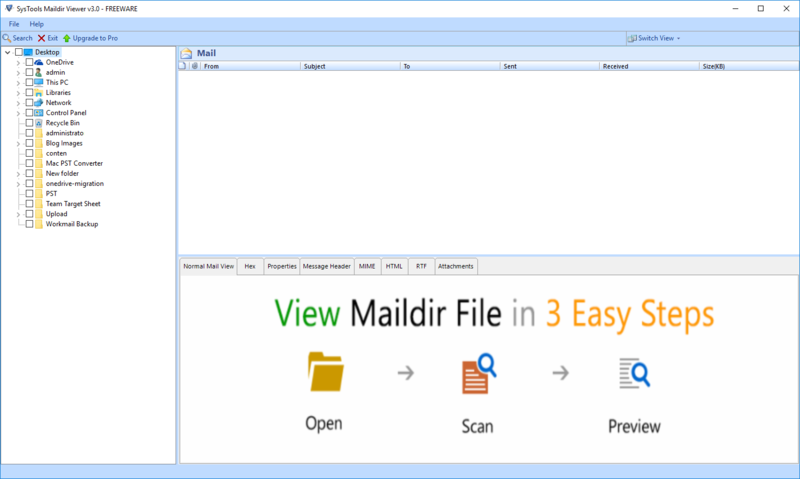 Free Maildir file reader enables users to open and view Maildir and Maildir++ files in bulk simultaneously. 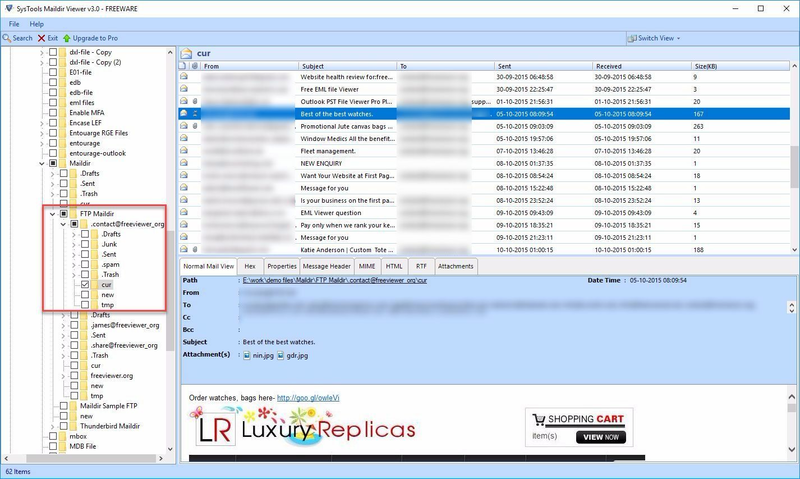 Users can browse any number of Maildir files at a time and then preview them with all their respective properties. They need to click on ‘Attachments’ tab to view .maildir files attachments. The freeware proves itself useful for the forensic investigation purpose also. It is so because it displays messages in different technical modes like Hex, MIME, HTML, message header, etc. This permit an investigator to attempt a deep analysis on the Maildir file and hence, collect evidences from it. The content displayed on Maildir file reader can be sorted in desired styling to make the data viewing easy and comfortable. 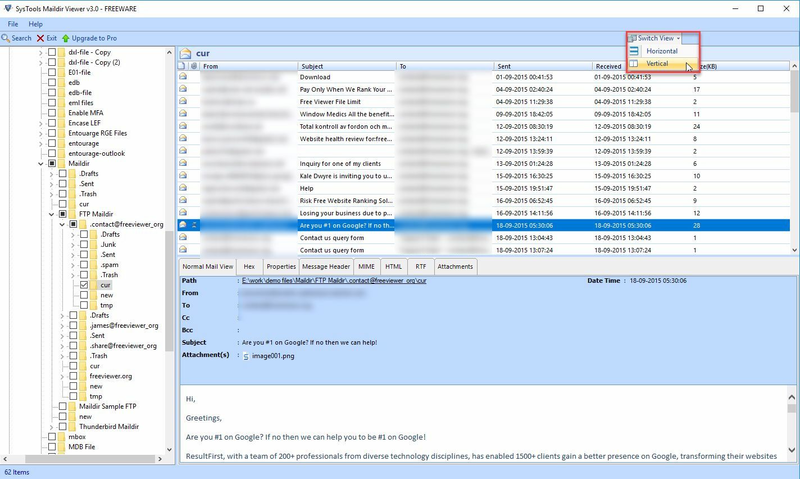 Users can sort them on basis of email subject, send date, From, To, received date, etc. All these type of intelligent features are rendered totally for free of cost. Will I have pay any cost when I am using switching modes to view messages? No, the entire functionality described in this product page is free of cost. You can do anything with our software without any worry of additional cost imposed while working with this tool. Does your freeware works with .maildir file of 1GB size? Yes, the Maildir viewer is capable of working with .maildir file of any size. There is no restriction imposed in the software to read Maildir files. Is it possible to view Maildir file of Mozilla Thunderbird with your tool? Yes, our free application works with .maildir file of Mozilla Thunderbird. Not only this but, all the other programs that creates or supports Maildir files will be processed by this software. 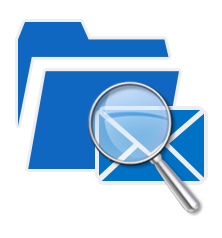 "Maildir viewer application is the best choice for me because it helped me in a perfect way for analysis of Maildir messages with attachments. The attractive thing in this software is that it processes and explores unlimited items rapidly for viewing Maildir files." "Excellent software! I was in search of a familiar tool, which allows me opening and previewing of Maildir files on Microsoft Windows 8.1. I am glad and thankful to god that luckily, I came to know about this tool from my sister. It successfully served me all concerns. Thank you guys!"